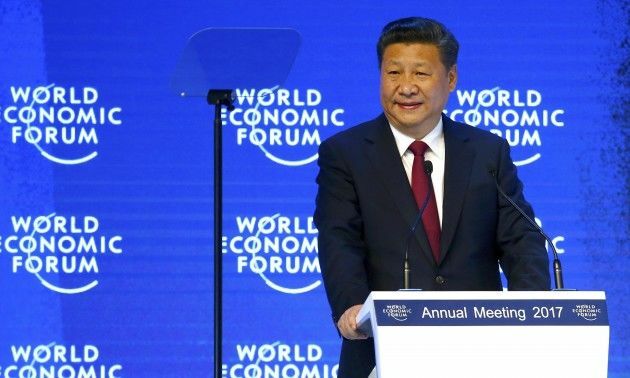 “Economic globalisation was once seen as the treasure in the cave found by Ali Baba – now it is seen as Pandora’s box,” President Xi said in the first such visit ever by a Chinese head of state to the annual gathering of business and political leaders. Not surprisingly, Beijing has shown in Davos that it is willing to take over as the champion of globalisation and multilateralism. The US’ retreat from global affairs and the political instability in Europe have created a vacuum on the global stage that President Xi has shown he is willing to fill. We live in a time of incredible change, Xi said, mentioning the unprecedented flow of refugees and terrorism. But there is no point in blaming globalisation, he added. The Chinese president stressed that war, conflict and regional turmoil have one solution and that is promising peace and restoring stability, not killing globalisation. However, he warned against ignoring the voices of those who have attacked globalisation, saying instead that they should be taken seriously. “We should adapt and guide economic globalisation so that it delivers benefits to all countries and nations,” he continued, arguing that profit-chasing and unfit regulatory systems caused the financial crisis, not globalisation. Despite its initial doubts, China came to terms with globalisation and decided to join the WTO. “He who is afraid of bracing against the storm will get drowned sooner or later,” he added. “We have had our share of rough waters but managed to learn how to swim,” he said, calling the global economy the “big ocean you cannot escape”. President Xi was not shy in pointing to the fact that while realising its own development, China has also made important contributions to world economic growth. According to an estimate by the International Monetary Fund, China contributed 39% to world economic growth in 2016, a rise of 14.2 percentage points from 2015. This was a direct, albeit veiled response to the EU and US that have repeatedly argued against granting Beijing Market Economy Status as China’s market reforms have fallen short of expectations. When China joined the WTO in 2001, its accession terms allowed other WTO members to treat it as a non-market economy when assessing dumping duties for 15 years. That gave trade partners the advantage of using a third countries’ prices to gauge whether China was selling its goods below market value. But part of that clause expired last December, which China says means trading partners must drop their use of such surrogate pricing. The European Commission last month proposed a new way of treating China, but its plans are awaiting approval from the EU’s 28 member states and the European Parliament. China’s economy will remain stable and keep growing steadily, President Xi insisted. “We are confident,” Xi said, adding that there were headwinds facing the global economy, which is still weak. Xi also pointed to the structural reforms underway and said China knows well that there is no such thing as a free lunch, and no “pie will fall from the sky”. However, the path to sustainable solid growth remains elusive, he said pointing at the “inadequate” governance in the financial markets. Trade and investment rules have not kept pace with other developments, he warned. Chinese President Xi Jinping urged world leaders to “say no to protectionism”. “No one will emerge as a winner in a trade war,” he warned. Xi did not directly mention US President-elect Donald Trump but cast China as a standard-bearer of free trade amid concerns in some corners that the new US administration may enact more protectionist measures in trade. The leader of the globe’s second-largest economy said the world must “remain committed to promoting free trade and investment through opening up”. 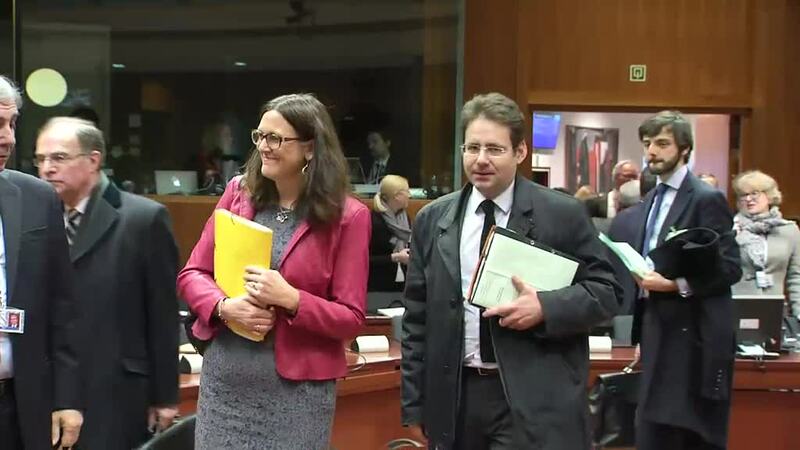 He added that “pursuing protectionism is like locking oneself in a dark room”. Reacting on the speech, Luigi Gambardella, president of ChinaEU said "President Xi made clear commitments in Davos. He expects that in the coming 5 years, China will import $8 trillion of goods, attract $600bn foreign investments and make $750n of outbound investments. More than philosophic discussions on the pros and the cons of free trade, businessmen demand concrete facts and figures. President Xi speaks their language. At ChinaEU we will continue bringing together potential EU and Chinese business partners."